The Horizon Zero Dawn map is huge with plenty of markers including Machine Sites, Campfires, Merchants and many others. 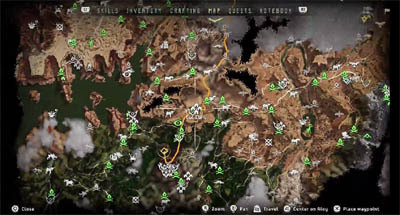 In this guide you'll find a complete world map with markers for every of point of interest. So whether you're trying to find a particular machine (for crafting resources) or want a closeby merchant then this guide should help you out immediately. 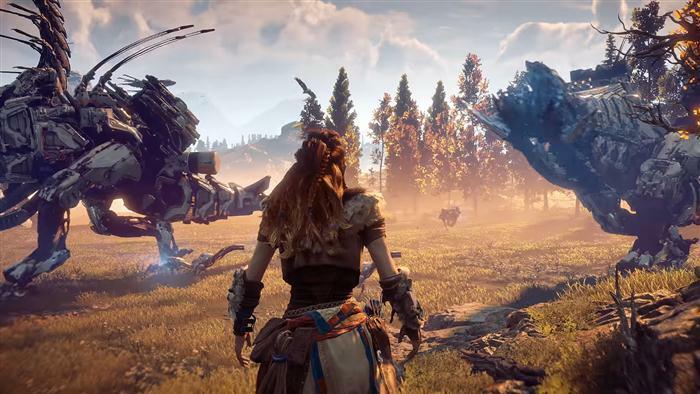 As you well know, each of the machines in Horizon Zero Dawn has a natural habitat or region of the map where they like to roam and for us players it's important to understand where particular dinosaurs are likely to spawn so we can gather crafting materials and complete some of the games Hunting Trials. 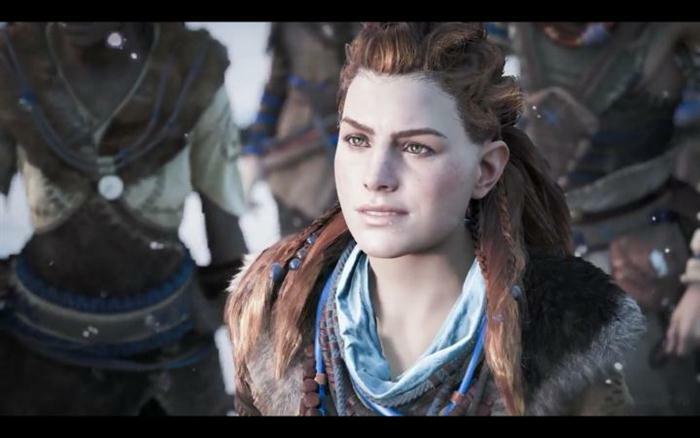 Before we look at the exact map locations let's talk a little more about Hunting Trials which are important Side Quests in Horizon Zero Dawn. These trials are offered by particular NPC's (guilds) that will help guide you through the process of tracking down the games rare animals and collecting their rare resources and XP. 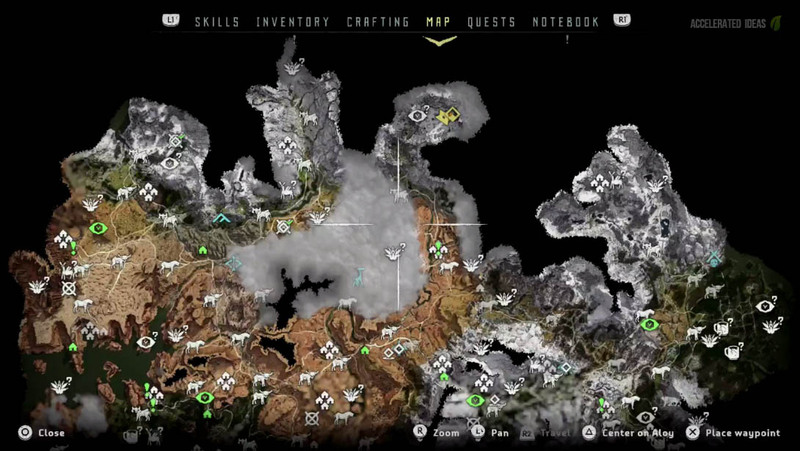 As you attempt different hunting quests you'll understand more about each type of animal in the game, it's habitat and characteristics. For example, Grazers are easily startled, so you can use strategic trap placement to drive them into a dead end. Although difficult, Hunting Trials are great for earning substantial XP and extending your current level and unlocking some of the games higher level skills. 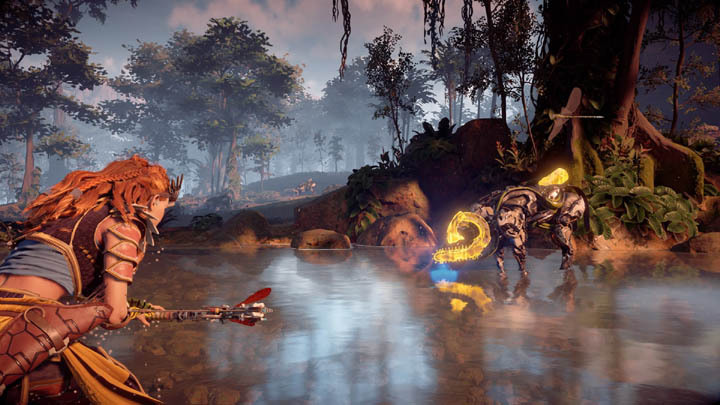 Animals come in all shapes and sizes in Horizon Zero Dawn. Some of the games larger and more aggressive foes are very hard to defeat but that doesn't mean that the smaller versions are any less annoying. Whilst the larger dinosaurs may exist singularly, smaller and aggressive beasts will typically hunt in packs. This guide is a work in progress and the maps below will be updated with new markers on a regular basis. What we do know is that passive animals are common throughout Sunfall, Meridian, Mother's Heart etc. Rarer animals are found in small, distinct areas of the map and nowhere else. To make things a little easier, I will split the map into sections for North, East, South and West. Each of these should provide you with enough markers to work out your closest point of interest, particularly useful when you don't have fast travel points available in the area. Remember to make use of Mounts such as the Broadhead or Strider to help you get around quickly.